Behind LC-jrx it’s me, Jan, an AFOL from Berlin. 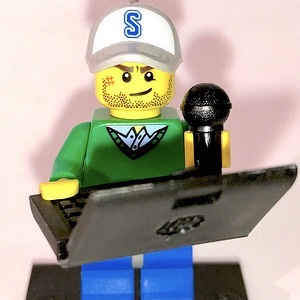 When I’m not building LEGO®, I work as a freelance science and technology journalist for radio stations, daily newspapers and magazines – online and offline. Mostly I report on topics from computer science, IT and research. I mainly build with LEGO® Technic but not exclusively. I have a strong preference for vehicles and machines. Now and then do I discuss sets of LEGO® itself or other AFOLs or LCPs.